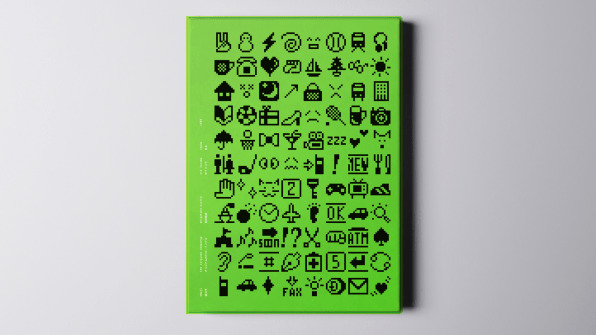 Emoji, a new book from Standards Manual, celebrates the ancestral design of what has become the world’s most universal language. It all started with a <3. 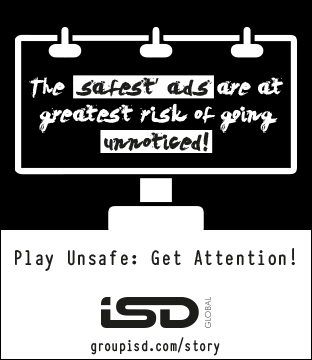 In the late 1990s, the Japanese telecom giant NTT DoCoMo offered an early mobile service called i-mode that let users send small amounts of data over their pagers, including a heart icon at the end of messages. Users <3’d the <3. But for reasons that have been lost to history, DoCoMo pulled it from the service. People were furious. They demanded DoCoMo bring it back. In 1999, the company released a new heart icon alongside 175 other icons that became the world’s first emoji. 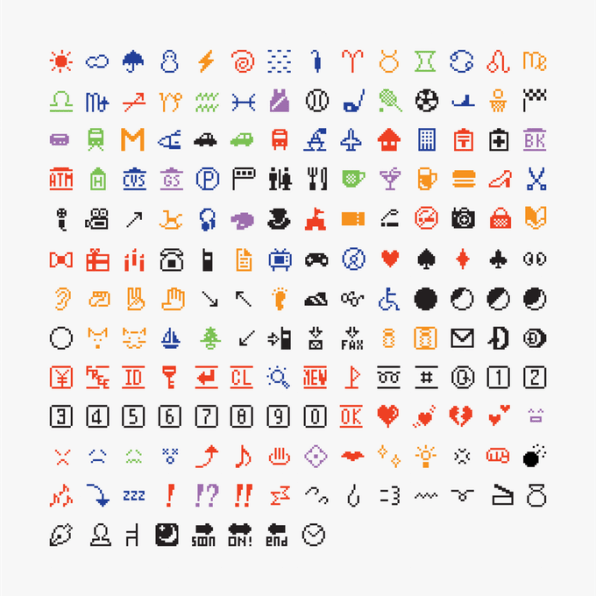 These 176 emoji are the subject of a forthcoming book and an accompanying keyboard app from Standards Manual, the boutique publisher best known for turning the graphic design style guides of NASA, the EPA, and the New York City subway into covetable books. 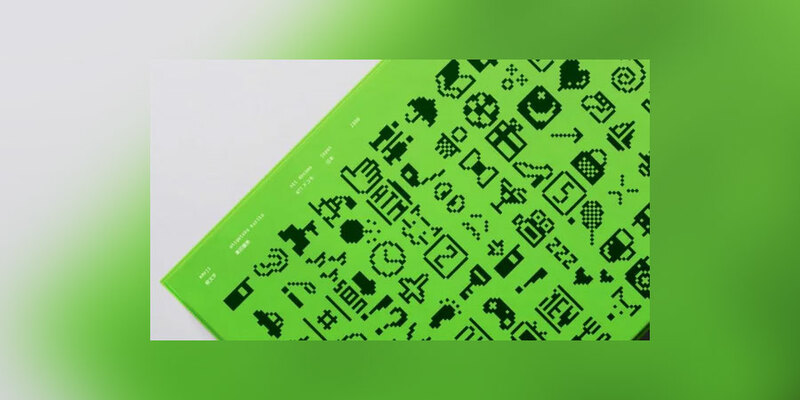 Emoji is Standards Manual’s first foray into digital media, and it celebrates the ancestral design of what has become the world’s most universal visual language. Today, users can select from more than 2,500 emoji to express ideas and feelings that transcend cultures. Many even prefer emoji to their native tongue. Emoji’s emergence as a global language was hardly calculated. Backlash over the heart icon suggested to DoCoMo that users needed an efficient way to communicate information and emotions. 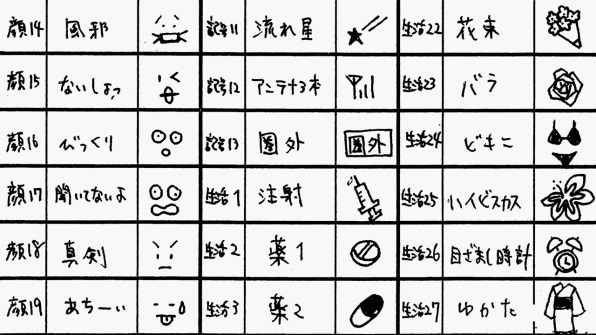 So the company tasked a 25-year-old employee named Shigetaka Kurita with sketching icons people might find useful as shorthand, from a martini glass to a smiley face to a fax machine (hey, it was the ’90s). Kurita had some skills in digital art, and took inspiration from manga and kanji for his drawings, but he was not a designer. In fact, he only spent about four to six weeks on the icons. You can see some of Kurita’s early sketches below. They weren’t sophisticated. He was also grappling with technical constraints. Each emoji had to fit on a 12-pixel-by-12-pixel grid in i-mode’s interface, which meant that many icons had to be slightly off-center. For instance, the umbrella icon is justified to the right, because there’s no central row of pixels on which to place the handle. You need an odd number of pixels to perfectly center an image. The slapdash origin story is all the more striking when you consider how tightly controlled emoji are now. An exclusive group of 12 organizations, including Apple, Google, Facebook, and Microsoft, pay $18,000 a year for the right to vote on which images get included in the official lexicon. The approval process is so opaque, a nonprofit organization has sprung up to help everyday people navigate the system. At the same time, emoji have become cultural flashpoints. 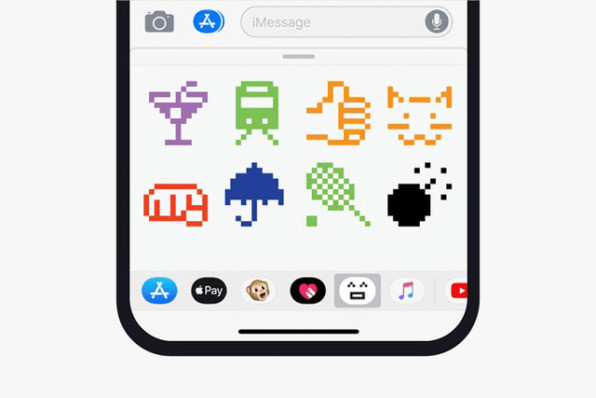 In 2016, Apple controversially replaced its pistol emoji with a water gun, a move seen as a solipsistic response to increasing gun violence in the U.S. Today, Microsoft is fielding criticism for being the last major company to not replace its pistol. The original 176 icons did not include a gun, toy, or otherwise. But it’s a testament to Kurita’s designs that we are now fluent enough in the language of images to fight over it. Support Emoji on Kickstarter. Backers get a copy of the book and a free download of the app, which lets you type with the original emoji. Suzanne LaBarre is the editor of Co.Design. Previously, she was the online content director of Popular Science and has written for the New York Times, the New York Observer, Newsday, I.D. Magazine, and Metropolis.